Surrounded by beautiful scenery and perched on the banks of the River Tamar in the stunning Cornwall countryside, Pentillie Castle is the perfect destination for a leisurely weekend break, a fine dining experience or a mouthwatering afternoon tea. We were delighted to catch up with Head Chef, Tom Lyons, and find out a little more about the man responsible for Pentillie Castle’s delicious menus. Tell us a little bit about yourself. Where did your culinary passion come from and how did you get into the trade? I started cooking alongside my father from a young age, and then furthered my passion to cook on the other side of the world under an incredible chef, Ashim Jeet Singh, in New Zealand. I then went on to cook in Australia, Vietnam and France furthering experience of life as a chef and gaining a vast knowledge of food. Today I am the head chef at Pentillie Castle. 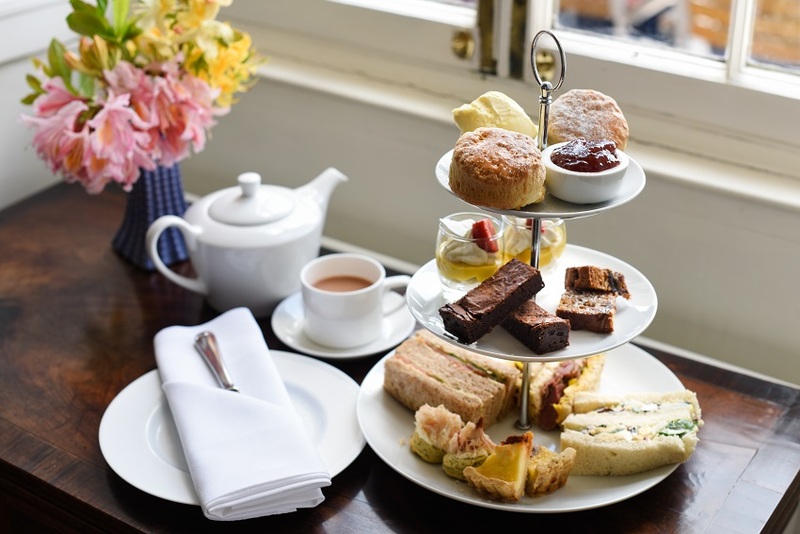 You have a delicious afternoon tea menu which changes throughout the year. Where do you get your ideas from? I take inspiration from the seasons and the fresh, local produce available to me and then go about starting to create ideas for the afternoon tea sourcing sustainable fish, meat from local farmers and using local growers. Being situated right on the river Tamar I have even been known to take a dip to pick samphire! Arrive, familiarise myself with the day’s work and upcoming events. Liaise with the team in our back office and with my sous chef. Lots of planning, preparation and menu development. I am always thinking about how I can improve, there’s always from for improvement whoever you are! Who are your culinary heroes? Who inspires you? Ashim Jeet Singh, he is an incredible chef and I was lucky enough to be trained by him. 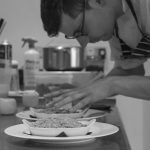 Also, Phillip Howard – I have always been inspired by his menus and was lucky enough to have had one of the best meals I have ever had at The Square when he was head chef there. 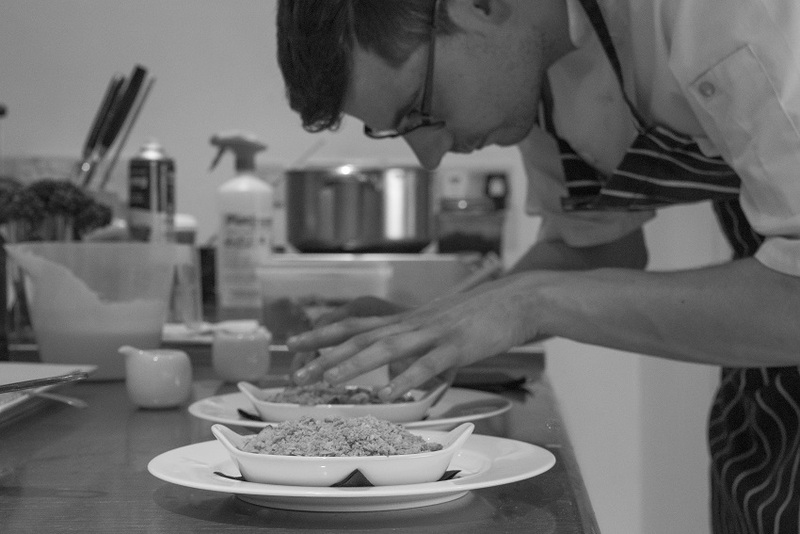 What advice would you give to anyone wishing to enter the business and train as a chef/pastry chef. Work hard and continue to work as hard as possible to get to the top. Stay focussed, be a sponge and write everything down. When you’re not working hard at Pentillie, and if time travel were possible and money was no object, describe how you would spend your perfect day. It’s simple, sat on Looe beach in Cornwall, on a hot day and a beer in hand with my beautiful fiancée. Why not stay awhile and discover the magic of Pentillie Castle for yourself. Explore their beautiful gardens, relax in elegant and luxurious surrounds or treat yourself to afternoon tea. Discover Pentillie Castle . . .
« Teacup and Saucer Sets for the Best Afternoon Tea Party Ever	» Things to See and Do in the Midlands for a Great Day Out with Friends.